Disa is in love with Arys, but he’s in love with Carina. Out of heartache and rage she murders them on their wedding night and vows they will never find happiness together. Now the two souls are about to reunite. Disa makes a pact with the red demon to destroy Carina’s soul so she can never be with Arys again. On his deathbed, the sorcerer who raised Carina tells her she’s in grave danger and only the Black Knight can protect her. But she has no idea who the Black Knight is or where to find him, and she’s being evicted. 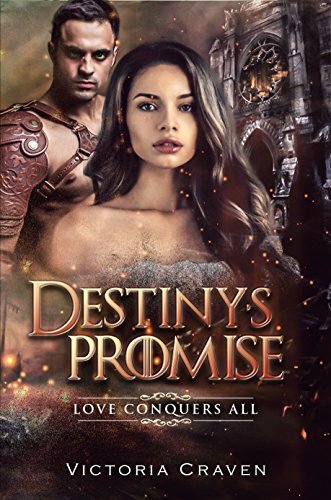 Randolf, known as The Black Knight, is a powerful warrior and possesses strong magic, but he is plagued by dreams of a woman pleading with him to find her. After yet another dream, restless and frustrated, he goes to a local inn where he encounters Carina. She’s familiar but he doesn’t know why. Not then. Will their souls reunite before Disa carries out her diabolical plans?